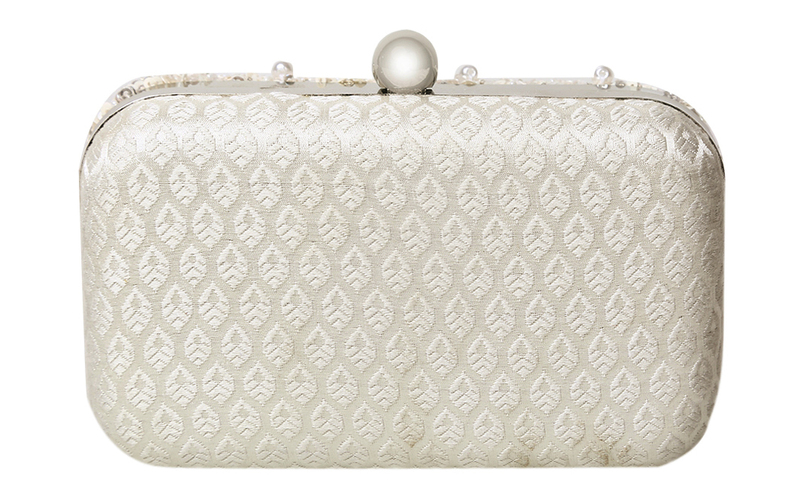 Feel your inner peace flow smoothly just like the wind, and adorn this elegant piece dipped in embellishments. 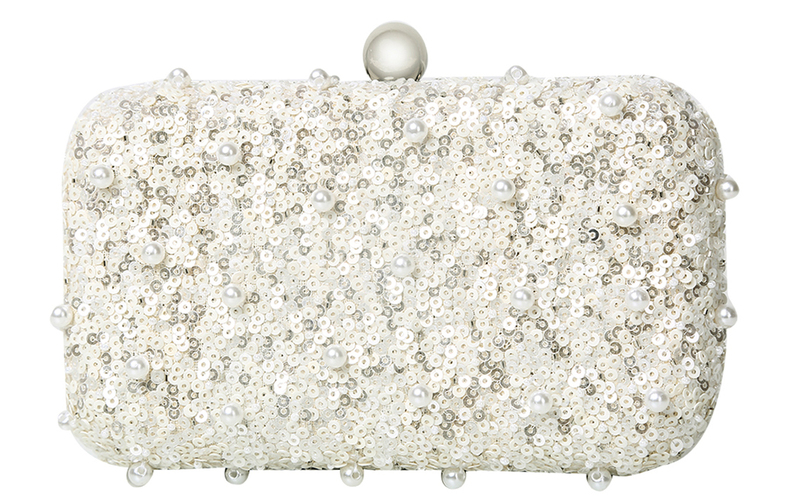 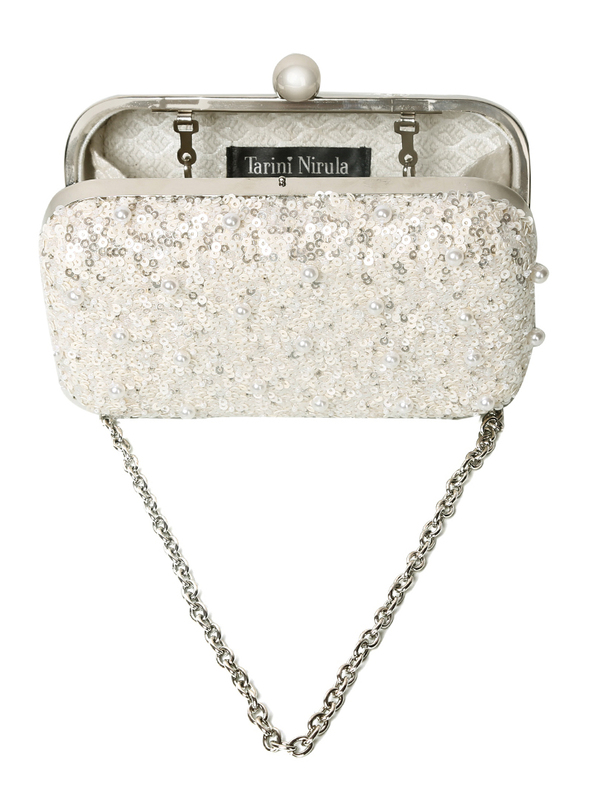 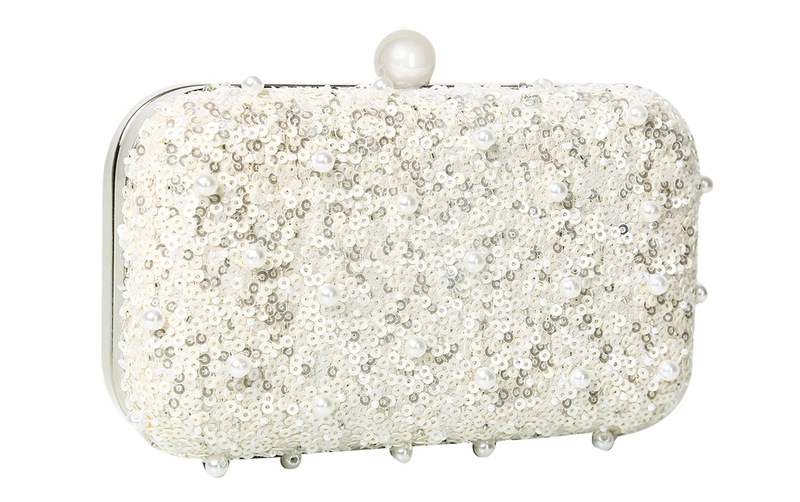 With breezy shades of white, ivory, silver and pearls handcrafted intricately, this is an ideal minaudiere to carry on a glamorous day or night out. 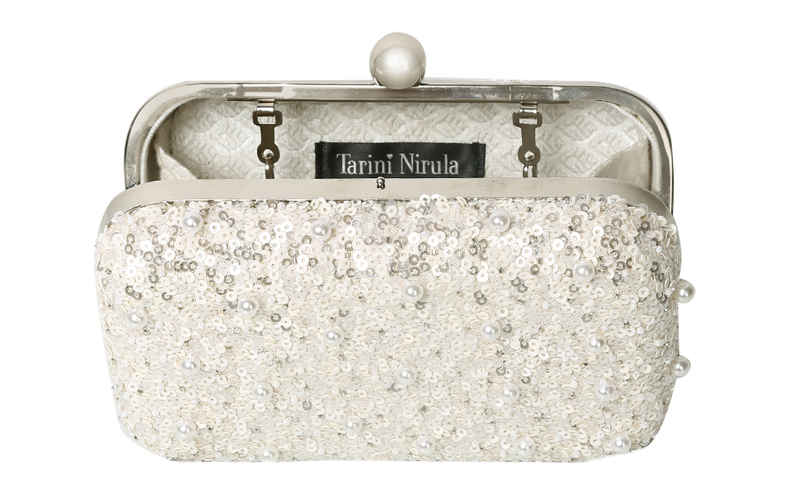 MATERIAL: Ivory and silver sequins, pearls, Silver brocade lining (Inner lining is subject to change), Silver frame with round clasp, Silver chain.